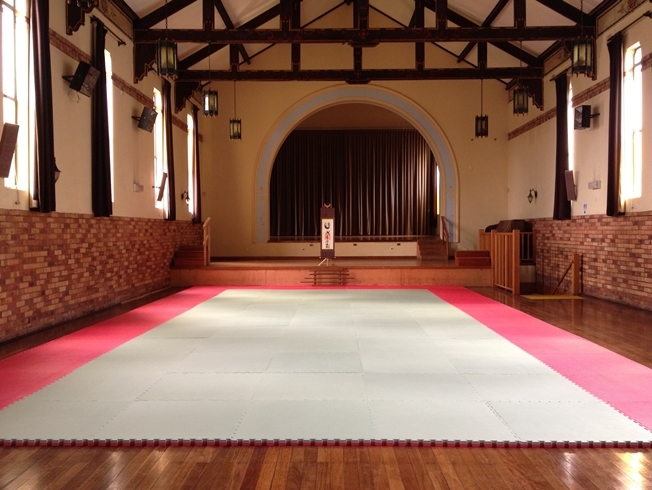 The Sydney Aikido Ku-ring-gai Dojo (training hall) is located at Ku-ring-gai Town Hall at 1186 Pacific Highway, Pymble on the north-shore of Sydney (approx. 25 kms from the Sydney CBD). This spacious training hall is only 5 minutes walk from Pymble railway station and near the intersection of Telegraph Road and the Pacific Highway. Ample car parking is available behind the hall. It is our practice, adopting the customs of the Iwama dojo, to bow at the start and end of each class and to each other during practice. Our bows (as is the custom in Asian countries) are out of respect for each other and the knowledge we have been given. Because our basic practice is to take turns performing the Aikido movements, it means we entrust to each other the responsibility to take care and protect us from injury. It is for this reason, a reminder of that trust and respect, that we bow to each other. On Sundays, weapons training is conducted in the Robert Pymble Park on Park Crescent, which is only 2 minutes walk from the Pymble Railway Station.